Ok I finally decided to accomplish one item that had been in my todo forever. The babette blanket! It's one of my few fave crochet patterns and I decided to make one for my spring baby! 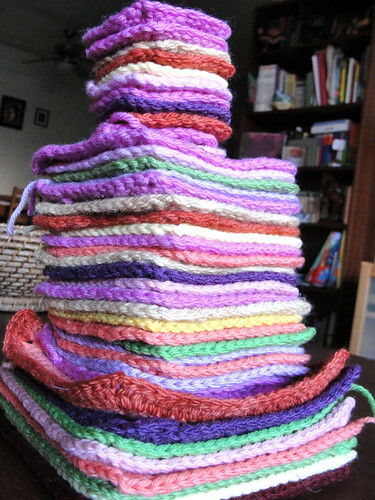 Most of the yarn was supposed to be from my stash. But I ended up falling quite short and buying more! Tee hee! 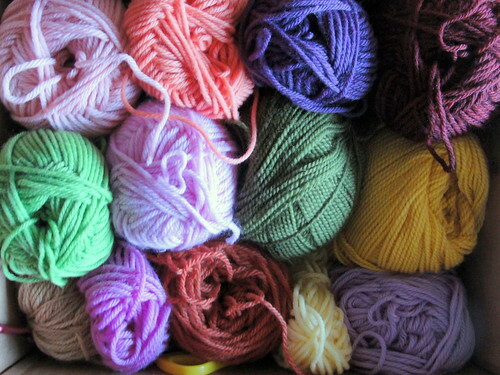 I can't use silk or a synthetic yarn for baby, so most of it is super wash wool. I'm loving crocheting these colors. 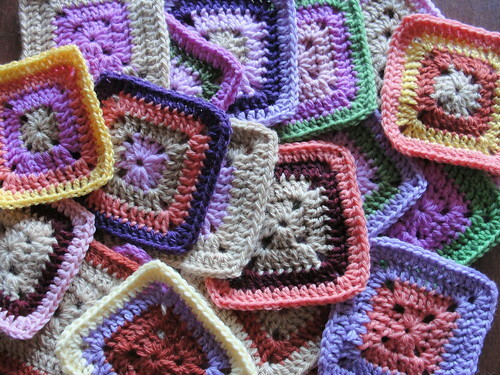 Anyone else wanting to make this should check out the flickr pool of babette blankets for inspiration.